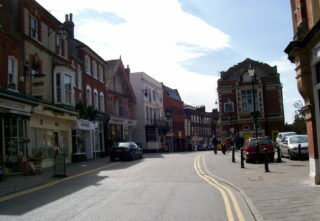 The old town has a High Street, roughly parallel with one side of Gadebridge Park with roads of mainly older properties leading off the High Street, on the opposite side of the road from the park. There is also a lovely church St.Marys, dating from Norman Times between the Park and High Street. 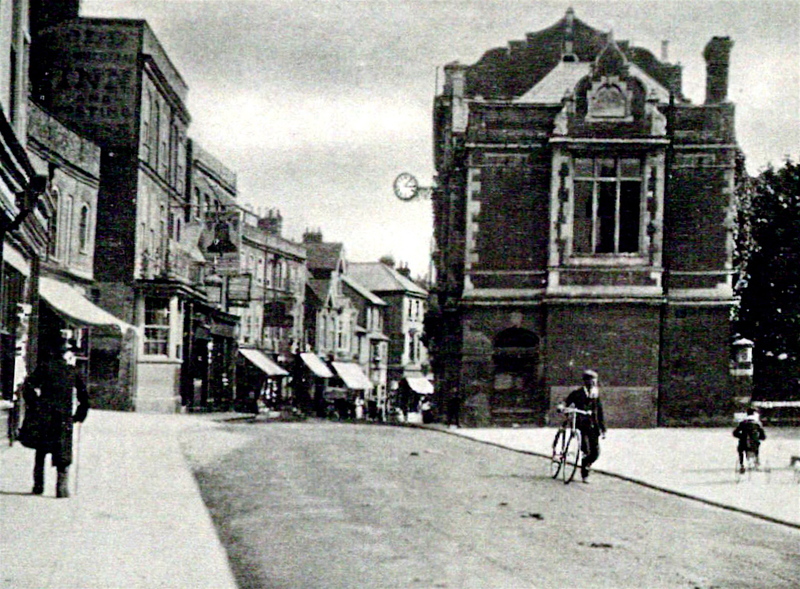 The overall aspect of the High Street has not changed for a long time as can be seen from old photographs taken in the 1880s. Before Hemel Hempstead was designated a New Town in 1947 the High Street was the main shopping area for the residents. When I told people I worked with at BP. Oil I was moving to the Old Town Area, I was told about good butchers and greengrocers in the High Street but when I arrived the only food shop was Mansbridge Bakers. This closed a few years ago and is now a gift shop. In late 1991 on the corner of the High Street was a branch of Lloyds Bank; this is now an Insurance office with flats above. Some shops that have closed since I arrived are a Milliners, a Newsagents opposite St.Marys car park, a clothing shop called Beans near the Old Bell public house and Wagons Art Supplies shop. On the parade opposite Dacorum College we now have Estate Agents, Take-away food shops and restaurant. The Midland Bank that was there moved into the Marlowes, a newsagent Fourboys closed and a Charity Shop, raising money for local charities also closed. As I write this in January 2004 people mainly came to the Old Town to get to the theatre, which was the Town Hall, and for the many Hairdressers, Restaurant, Pubs, Antique and Gift Shops. We had the High Street re-surfaced recently and have block paving speed-humps and block paving in the small car park and also on some footpaths. We had been told when the re-surfacing was completed a 20 M.P.H. speed limit, full yellow line scheme and signage would be introduced.